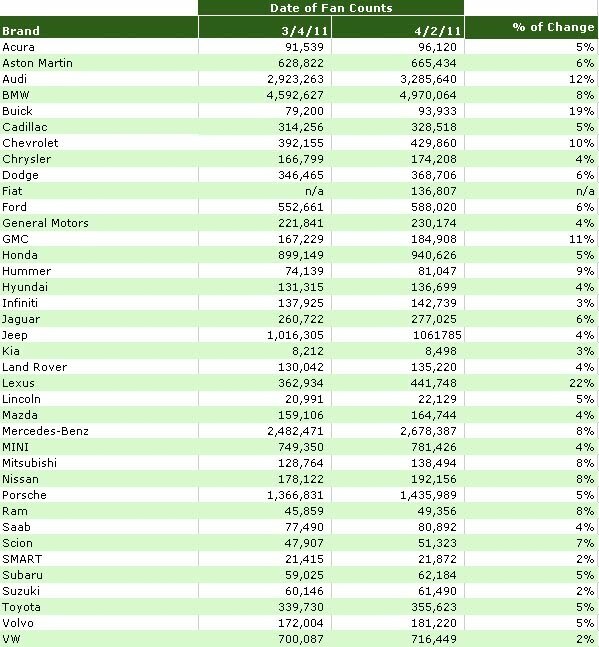 March was a rather subtle month without a lot of on-site fan growth ads from the automotive brands, but it was the first month a new brand returned to the United States. It’s been 27 years since Fiat has sold a car here. They returned with the Fiat 500 and I have added Fiat to this list. 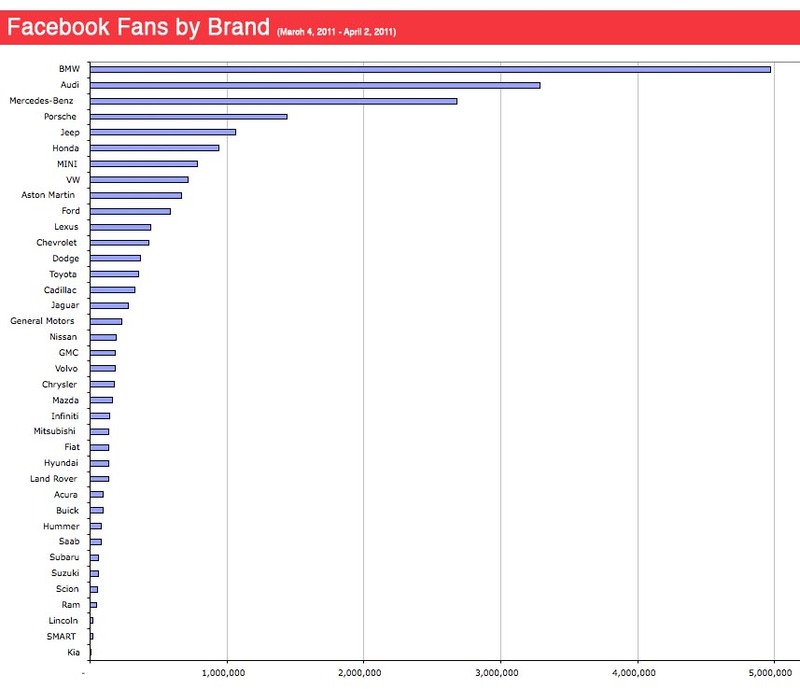 Like BMW, MINI and Mercedes, Fiat also has a USA-focused Facebook fan page, but like those brands I am reporting on the global brand’s Facebook fan page, but do record all of the USA-focused fan pages. Meanwhile, Acura continued to run and promote their “Compete Like a Pro” contest for the all-new TSX Sport Wagon (as an interesting side-note, the TSX Sport Wagon is the Japanese Honda Accord wagon that everyone was hoping for back when the Honda CrossTour was announced last year causing quite an uproar on the Honda fan page.) 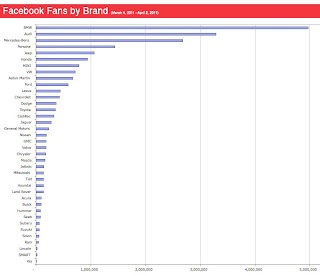 The “Compete Like a Pro” contest is an interesting example of fan growth from marketing, CRM, and engagement. Back in January they promoted the contest and bought some Facebook ads to support the effort creating a 23% increase in fan growth. 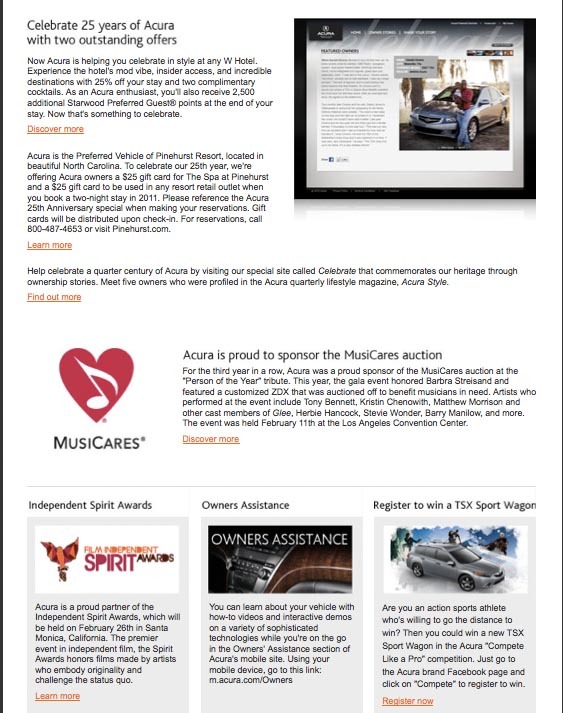 In February, some marketing continued but most of the effort to promote the contest was done through Acura’s email communications (see image at left from a February 22 email) and there was some promotion by contestants to create interest (votes) for the contest that resulted in a 10% fan growth. As the initial surge of contestant promotion tapered, so did the fan growth, as it was only 5% in March when the contest was closing the voting. Many of us see friends in our own communities promote – ask for – votes when they do an online contest. This initial surge in friend participation comes to an end rather quickly and then near the end of the contest, the highly competitive top people in the votes make an additional request for votes, but this is a much smaller group. What we see with the Acura contest is fairly typical and shows that the biggest impact in fan growth is still advertising to promote instead of counting on organic growth. 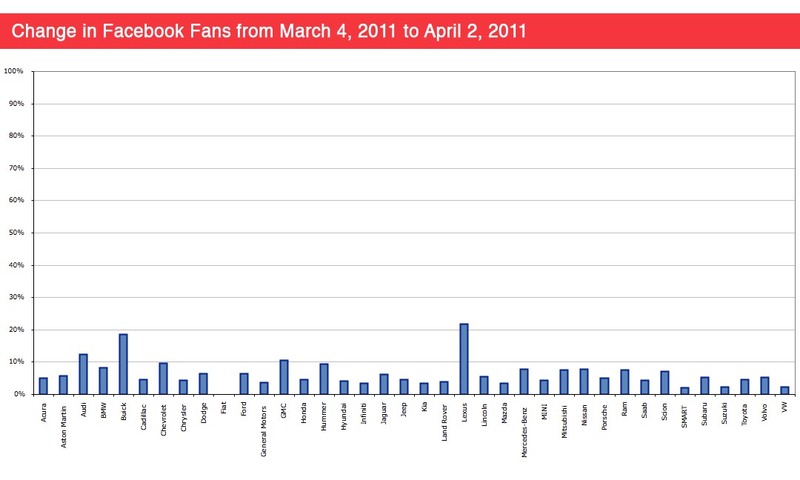 The final 5% growth in March is a normal organic fan growth so the contest was doing very little in fan growth. Of course it might of (and hopefully did for Acura) create more clicks to dot.com and engagement which were probably the primary goals of the contest. There was very little else going on in March for the automotive brands on Facebook. Lexus saw some positive growth with the biggest bump of 22% fan growth coming from their heavy media buys around the all-new Lexus CT200h. 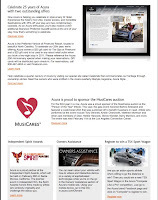 Note: Unfortunately I missed a month in March, a first since starting this monthly post in November of 2009. 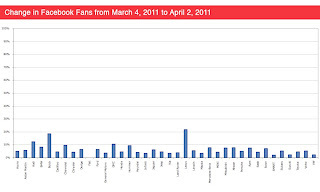 I did record the fan numbers and you can see the early fan numbers from March in this post. I never did a February 2011 report, but have all the raw data if any one wants it. Please send me an email at red335i@yahoo.com if you do.